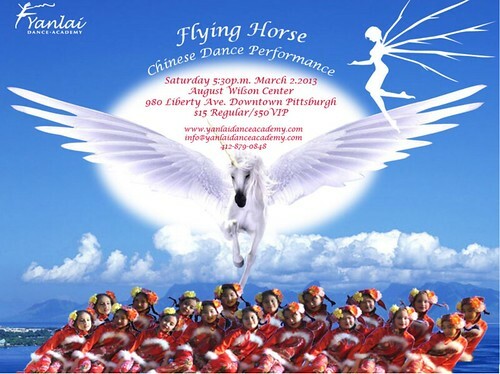 PennsylvAsia: Flying Horse Chinese Dance Performance, March 2. The Yanlai Dance Academy will present "Flying Horse" at the August Wilson Center downtown (map) on March 2. "It is a great opportunity for Pittsburghers to appreciate a variety of Chinese cultures through Chinese dance", says the academy. The show begins at 5:30 and tickets start at $15.